If you enjoy both Kayaking and Snorkeling, then look no further. 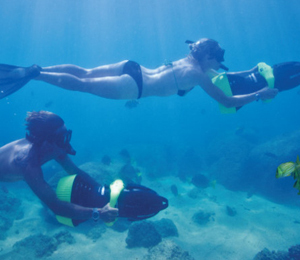 Cabo San Lucas is one of the world's top destinations for snorkeling and kayaking tours. For example see our Pulmo Kayak and Snorkel tour, where you will travel to Los Arbolitos Beach, La Sirenita Beach, the sea lion colony, the Los Frailes bay, or a variety of these wonderful hideaways depending on the season. Most of your time on this tour will be spent kayaking through some of the hypnotic blue waters of the Sea of Cortez heading from one breathtaking and remote beach to the next. 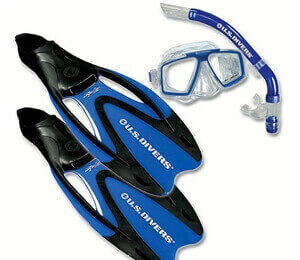 Along the way, you will receive snorkeling gear so you can explore a delightful world of coral reef and tropical fish. Kayaks were first invented by the Inuit and the oldest Kayaks are believed to be 4,000 years old. The term "Kayak" translates roughly into "man's boat" or "hunter's boat" because they were traditionally used by the man who built it. Although the kayak was originally developed in subarctic regions of the world, it is still useful in tropical areas as well. The Kayak is a small and narrow boat designed to be manually driven with a double-sided paddle. The Kayak is ideal for any casual rider or riders that wish to enjoy a peaceful and relaxing adventure with an amazing view. It is easy to maneuver and take photographs with the kayaks available in Cabo San Lucas. 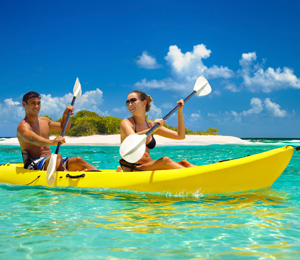 Kayaks traditionally were designed for one rider, but you have the option of using a two person kayak. The kayak is a highly advantageous mode of transportation on Cabo San Lucas becasue it allows you to visit unique areas by water that are not possible simply by foot or larger watercraft. They are also considered very safe and are releatively easy to handle. The Three Bay Kayak and Snorkel tour is one of our most popular kayaking tours and gives you the opportunity to experience three different bays off the Sea of Cortez. You'll travel from beautiful Twin Dolphin Bay to the government-protected waters of Bahia Santa Maria (Santa Maria Bay) and Bahia Chileno (Chileno Bay). 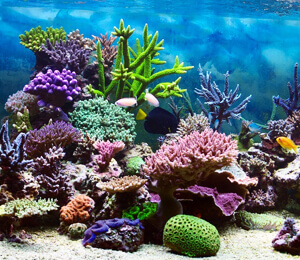 The remarkable variety of corals, sponges, sea urchins and colorful tropical fish that populate these bays will astound you. 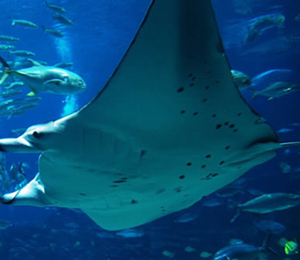 You may also spot rays, eels, octopi, and even reef sharks. 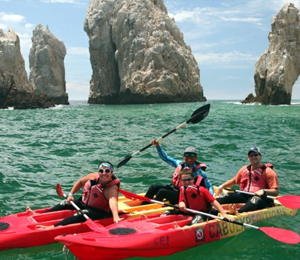 Paddle out to Cabo's most famous landmarks, El Arco and Land's End, in a special Glass-bottomed Kayak. Along they way you will see brilliantly colored tropical aquatic creatures through the transparent bottom of your kayak. Paddle a sea kayak from the gorgeous Twin Dolphin Bay to the amazing marine sanctuary Santa Maria Bay to the spectacular Chileno Bay. 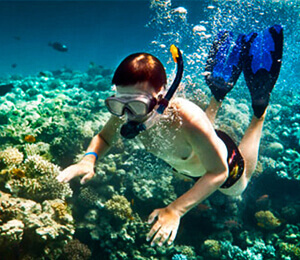 You'll have the chance to snorkel in three different Sea of Cortez bays on the eco-adventure off Los Cabos. This great half-day trip that includes snorkeling and kayaking in one Cabo San Lucas's most beautiful and world famous natural beaches at the very end of the Baja Peninsula. 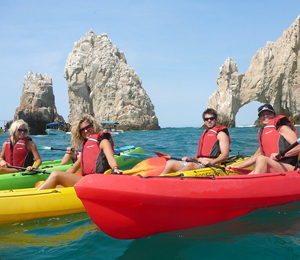 This kayaking trip also passes by Land's End where you will find the famous Cabo Arches and the pristine Lover's Beach. Join us for the most complete snorkeling tour in Cabo and discover why famous explorer Jacques Coustea referred to Cabo's waters as "the world's aquarium." This tour takes you beyond the hotel zone and into the isolated beaches teeming with acquatic life for the ultimate snorkel excursion. This tour includes power snorkeling, stand-up paddle boarding, kayaking, and a comfortable, Apex high-speed boat ride. This unique kayaking trip allows you to visit one of Cabo San Lucas best kept secrets the Cabo Pulmo. You'll be able to snorkel, kayak and swim while enjoying the amazing pristine landscape not found anywhere else.